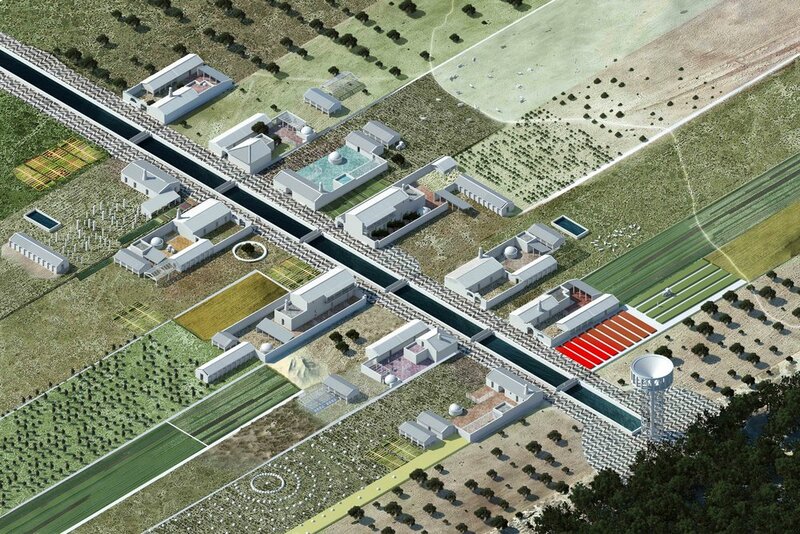 Escudo da Comporta is a rural masterplan of an agricultural estate in Alentejo, Portugal. Comporta is an area in Portugal whose landscape and population have been subject to various pressures and epic injustices. In the past three centuries the area’s value has been claimed by its owners, the Portuguese Crown at first, rice farming enterprises after, and, finally, the largest banking dynasty in Portugal, the Espírito Santo family. The latter became insolvent in 2014. Escudo da Comporta uses the situation of bankruptcy to, for the first time, design the landscape and design it towards a democratic rural environment. By combining agricultural and urban design processes the project creates a civic landscape that satisfies global pressures while fulfilling the social and civic needs of an area in great distress. A masterplan of Herdade da Comporta future development—The state of uncertainty Herdade da Comporta and all its stakeholders found themselves in 2016 prompted the formation of an Assembly to establish Herdade da Comporta as an autonomous, productive and beautiful estate, fulfiling its potential as a pioneering and trendsetting rural settlement. Aldeia da Torre: dunes, 2030—Escudo da Comporta uses the situation of bankruptcy to, for the first time, design the landscape and design it towards a democratic rural environment. Aldeia da Torre: commercial centre, 2030—By combining agricultural and urban design processes, Escudo da Comporta creates a constantly evolving civic landscape that satisfies global pressures while fulfilling the social and civic needs of an area in great distress. Aldeia da Torre: water tower, 2030—The architectural language for the proposal comes from traditional archetypal building layers inspired by a book called Arquitectura Popular em Portugal, which is a pioneering inventory of vernacular Portuguese architecture made in the 1950s. Escudo da Comporta—How do you measure value? It seems as though the natural relationship between land, money and community has been distorted over the gradual rise of a global market economy. of a twelve and a half thousand hectare agricultural estate in Alentejo, Portugal. 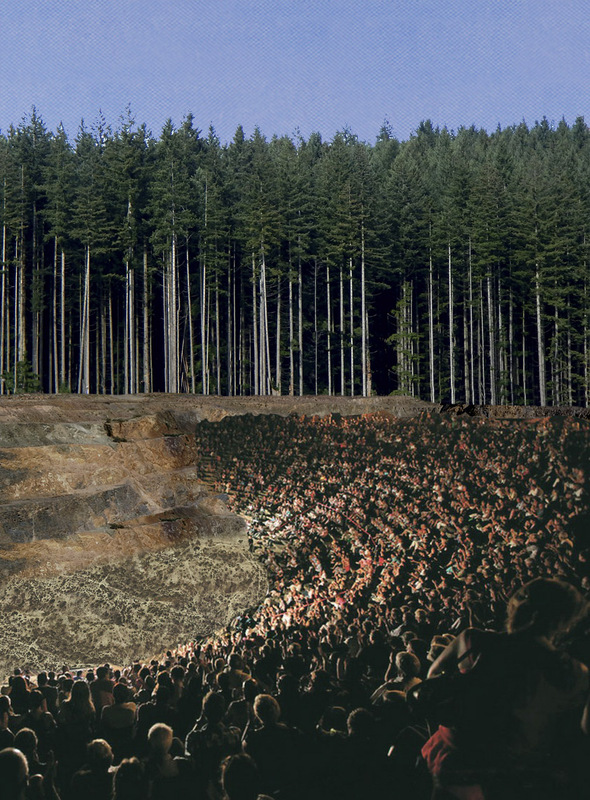 The value of each Escudo da Comporta coin is determined by landscape projections that determine the productivity and potential of the land. Escudo translates as ‘shield’: a currency that defends Comporta’s value and orchestrates the future of its natural and human wealths.